Wild defenseman Gustav Olofsson’s bid for a roster spot has suffered a setback. Olofsson injured a shoulder Monday in the Wild’s preseason opener against the Jets, a source said, and while he’ll be evaluated in the next few days, Olofsson could be sidelined for at least a couple weeks. The 23-year-old was hurt on a hit from Winnipeg star winger Patrik Laine in the third period. Drafted 46th overall in 2013 by the Wild, Olofsson is among the defensemen likely jostling for the seventh spot on the blue line since Greg Pateryn and Nick Seeler seem poised to fill out the third pairing after both signed multi-year contracts in the summer. Nate Prosser, Ryan Murphy, Carson Soucy and Louie Belpedio are other candidates. This isn’t the first time Olofsson has faced adversity while trying to carve out a role with the Wild. He previously hurt his knee in September 2016 at the Traverse City prospect’s tournament – this after he was coming off back-to-back season-ending shoulder injuries. Last season, Olofsson rotated in and out of the lineup, registering eight assists in 41 games. 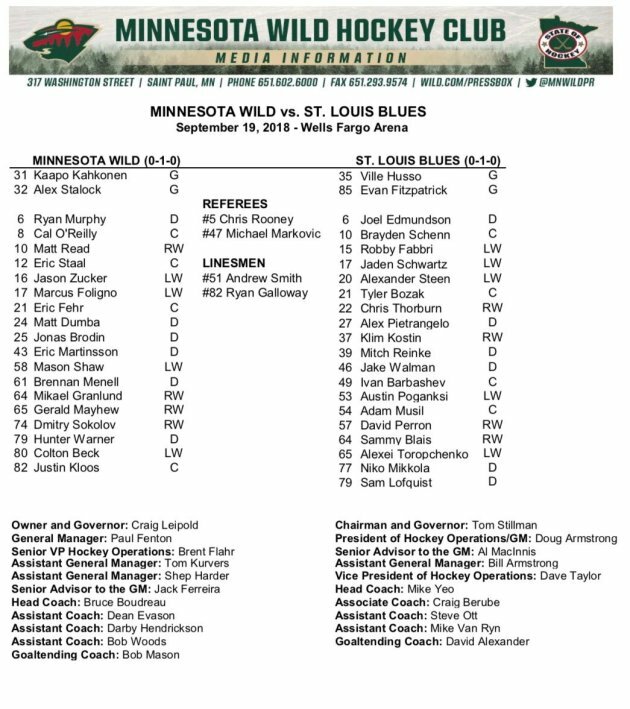 The Wild faces the Blues tonight in Des Moines; here are the lineups.